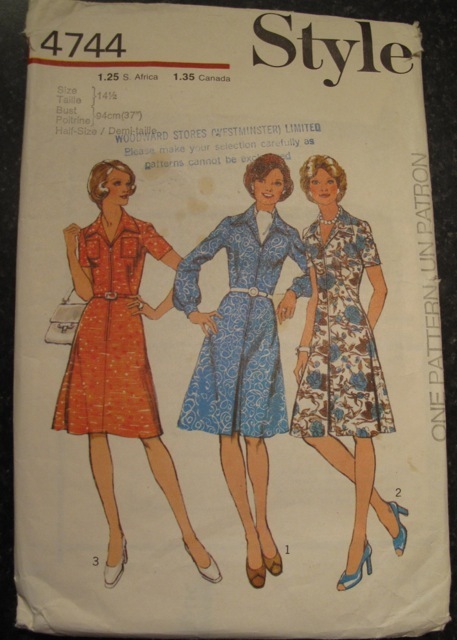 My mother recently cleaned up all her patterns and gave me all the ones she wasn’t going to sew again. 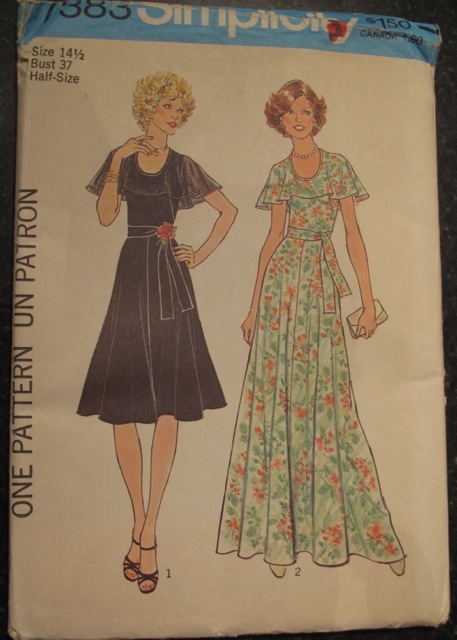 I am so psyched about all the retro things these new patterns say I can now do. I can attend a 1960’s cocktail party. 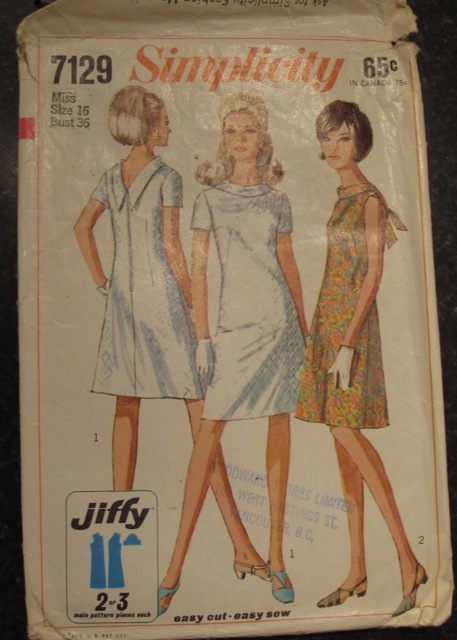 Simplicity 7129 Jiffy – Juniors Simple to Sew Jiffy Dress: The A-line dress with back zipper and collar has slightly lowered round neckline in front tapering to “V” neckline in back. V 1 has short set-in sleeves. Sleeveless V 2 has tie collar. 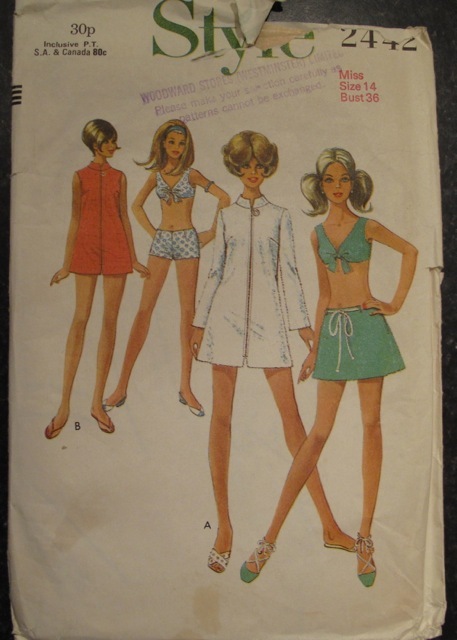 Style 2442; ©1969; Misses’ Beach Robe in Two Lengths, Bikini and Skirt: The beachrobe with stand collar has front zip fastening. View A has long set-in sleeves. View B shorter length is sleeveless. The lined bikini has top with tie front fastening, inside bust shapes and elastic casing at back lower edge. The pants have waist darts and back zip fastening. The A-line skirt has side zip fastening, self fabric carriers and cord tie. I can go to various mod-themed events. 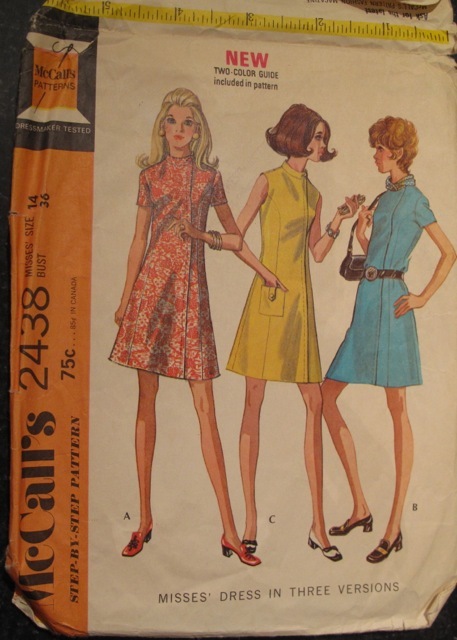 McCall’s 2438; ©1970; Misses’ Dress in Three Versions. Dress has concealed left front zipper closing. Dress may have buttoned collar. View C has button trimmed, tab pocket. 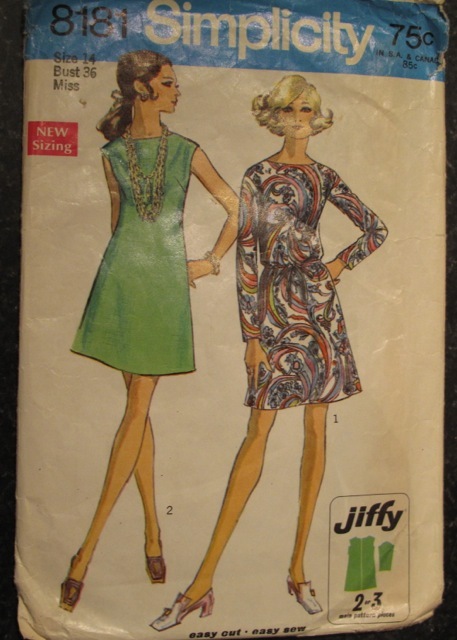 Simplicity 8181; ©1969; Simple-To-Sew Misses’ Jiffy Dress: The dress with back zipper and lowered round neckline has slightly dropped shoulders and optional tie belt. V. 1 has long, set-in sleeves. V. 2 is sleeveless. I just don’t know here. Fabulousness just can’t be limited to time and place sometimes. Love that collar! I must make that red cape. I just need to decide between a zipper or leather buckles. 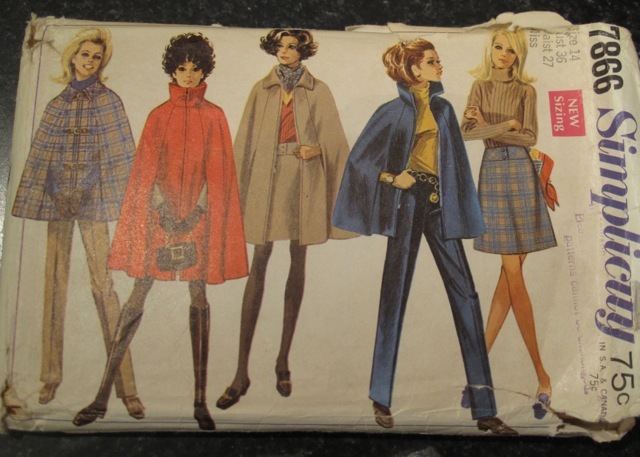 Simplicity 7866; ©1968; Misses’ Cape in Two Length, Skirt and Pants: The top-stitched, long or short lined cape with collar and openings for arms in front seams may be made with either front zipper closing or with leather tab and buckle trim. The A-line skirt without waistband has buttoned trimmed lined yoke and side zipper. The pants without waistband have side zipper. Simplicity 7383. The sleeveless dress with flared skirt stitched to bodice at normal waistline has back zipper, flared cape type collar, bias bound low round neckline and self fabric tie belt. V. 1 with contrasting collar is regular length. V. 2 is floor length. I can also be Mary Tyler Moore. Style 4744; copyright 1974; Dress with centre back seam has collar, front zipper, set-in sleeves and top-stitched trim. View 1 and 2 have front inverted pleat. View 1 and 3 have purchased belt. V1 has long sleeves gathered into buttoned cuffs. V2 and 3 have short sleeves. V3 has patch pockets. 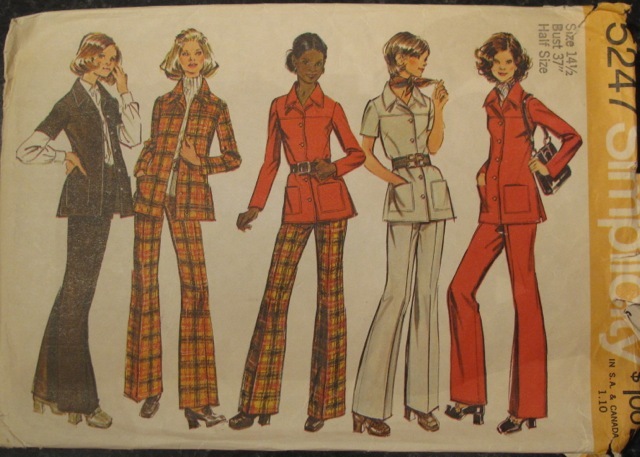 Simplicity 5247; ©1972; Shirt-Jacket and Pants in Misses’ and Half-Sizes: The shirt-jacket with long or short sleeves has front button closing, yoke, notched collar, patch pockets, set-in sleeves, slits in side seams, and optional top-stitching and purchased belt. The pants with back zipper have waistband and optional purchased belt. And I can do whatever Jerry Hall was doing in the late 1970s. Vogue 7098 Misses’ blouse. 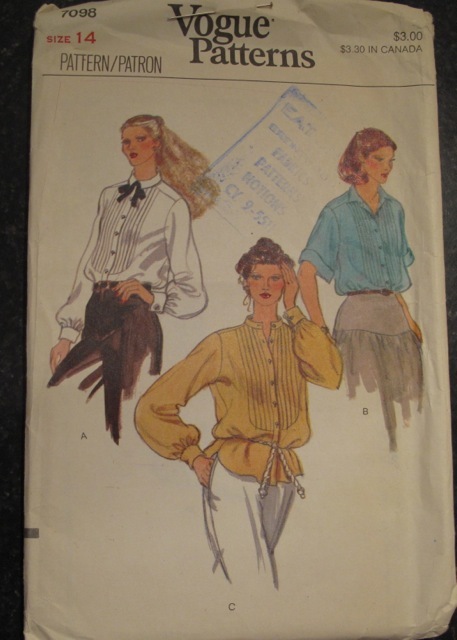 Loose-fitting, slightly below-hip length blouse (may be worn in or out) with back tucked into one pice self-lined yoke. Has round neckline, pin tucks on front inset, front-buttoned band closing, with turn-back cuffs. 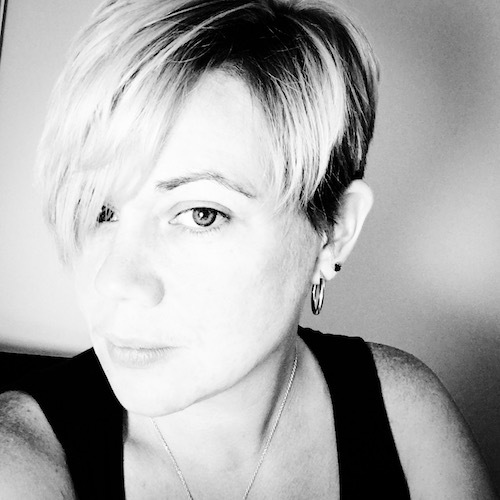 Oh, and best yet, I get to be married to Steve McQueen! Vogue 9308 Loose-fitting, slightly shaped double breasted coat (tailored) in mid-knee or finger-tip length has self fabric or imitation fur collar on partial band and lapels. Upper welt pockets and lower pockets have flaps. Three-piece detachable belt with loop. 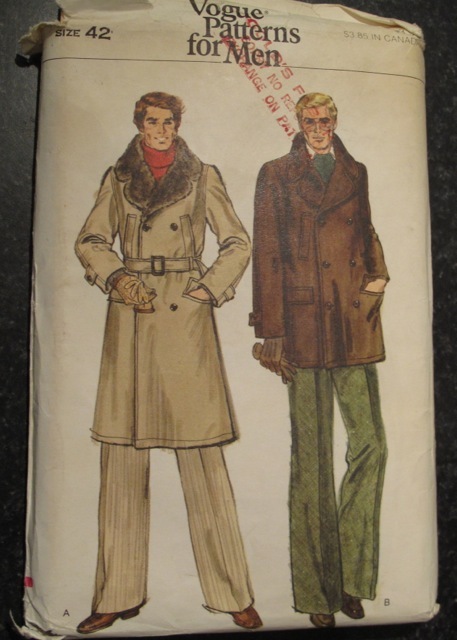 Full-length sleeves have tab and button trim and purchased knitted wrist cuffs attached to lining. 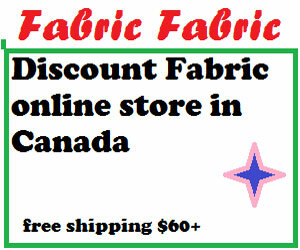 Flat imitation fur lining for coat body and sateen quilting for sleeve lining. Topstitch trim. Seriously, these patterns are amazing. And there are more! 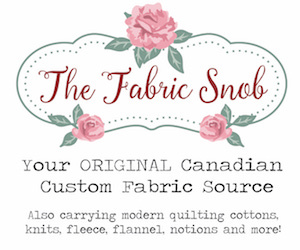 I can’t wait to sew some of these up! Thanks Mum!